This patchwork quilt, sewn with love and care, is the best gift for the most loved one. There are more than one hundred hearts to carry a lot of beautiful memories of time spent together and the good wishes and thoughts for the future. 100% cotton flannel, the backing is 100% cotton, polyesther batting. To care for your quilt, simply machine wash on a delicate setting with mild laundry detergent, then tumble dry on fluff air or lay flat to dry. The quilt will shrink slightly with its first washing, this creates the desired puckered effect. It will get softer and cozier with each washing. My Quilts are made in smoke and pet free environment. Made from scraps and leftovers – small and slight blanket is easy to use in pram or cradle. Small flowers catch the attention of the kid and are interesting to touch when the kid is growing and learning to touch things. This baby quilt, sewn with love and care, is the best gift for the smallest and most loved one. This quilt will become as pet-blanket when the kid is growing up and using bigger blanket for sleeping. Cotton, the backing is cotton-flannel, quilted in squares. This quilt has light polyester filling which is concidered allergy-free. Baby Patchwork quilt, Aquamarine (turquoise) and white. This kids quilt, sewn with love and care, is the best gift for the smallest and most loved one. Cotton fabrics, the backing is 100% cotton. Batting is cotton. Apron made from thick cotton fabric with goats on the upper edge. Decorated with cotton lace, and having a pocket for mobile phone. Handcrafted linen covers (H 21 x 13 cm) for notebooks, diaries, and books. Beautiful covers decorate your book at the airport, on the train, or at the park, hiding the content of the publication. Whether it's a thriller, professional literature, or a Bible. These notebook covers have been made with love and care from natural materials, and they will cheer you up each time you use your day planner. The covers are made of linen, have cotton lining, and are decorated with lace or ribbon. The covers are very carefully sewn and are machine washable with a light wash program at up to 30 °C. Do not use a centrifuge or dryer. May be ironed with steam. 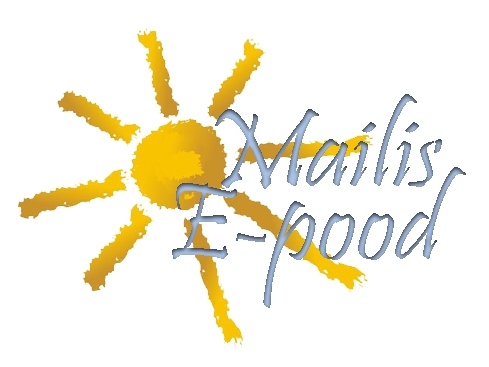 You can order machine embroidered names to be added on the bags purchased from this e-shop. Embroidery can’t be added to every product, if it has already sewn. If embroidery is not marked as an option with a product, please contact us by email in advance so that we can specify your wishes and the available options together. 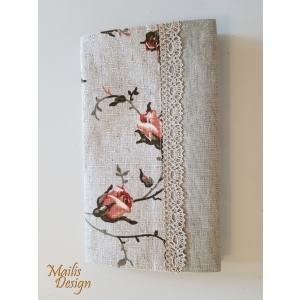 Handcrafted linen covers or covers and notebook A5 (H 21 x 15,5 cm) for notebooks, diaries, and books. Beautiful covers decorate your book at the airport, on the train, or at the park, hiding the content of the publication. Whether it's a thriller, professional literature, a Bible. NB! In stock you can see the quantity of selection A). Click on other options to see their quantities. 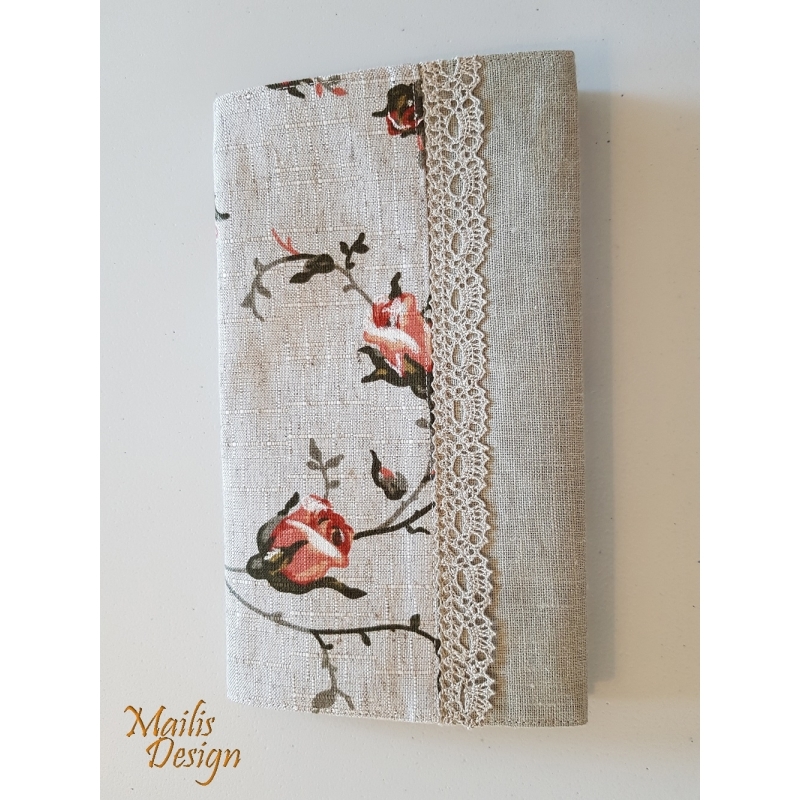 Handcrafted linen covers (H 18,5 x 14,5cm) for notebooks, diaries, books. 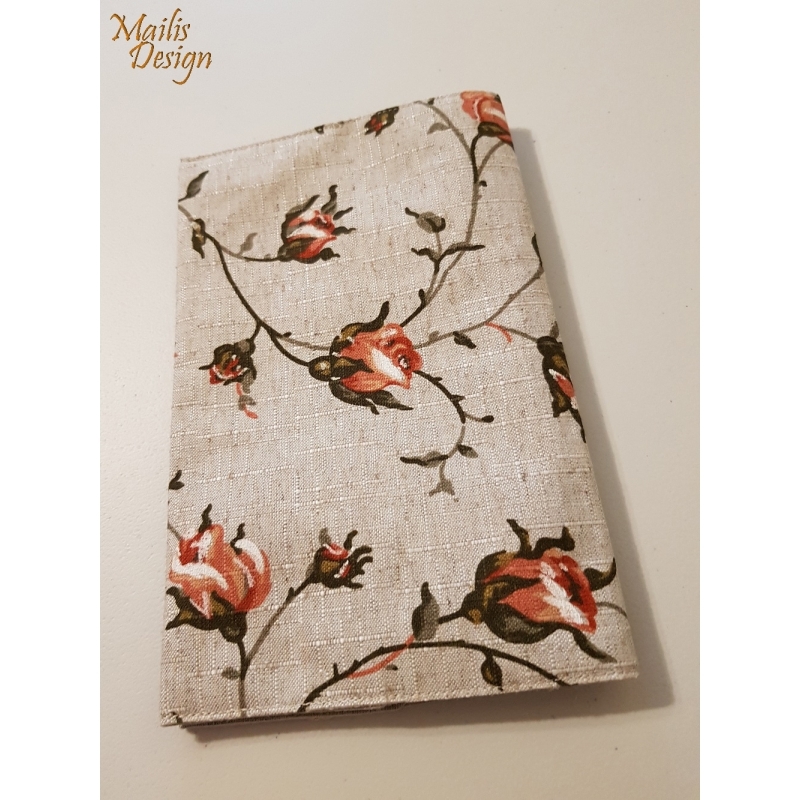 Handcrafted linen covers (H 21 x 13cm) for notebooks, diaries, books. Handcrafted linen covers (H 18,5 x 14,5 cm) for notebooks, diaries, and books.